This is my first blog on the web, although I have had a pretty good web presence for about 10 years. The reason I learned how to do car painting is because I owned a rare collector car that would have cost me $3000-$4000 minimum to have the body work and paint done- and it needed it. AND, I could not afford this. So, I contacted one of my friends, perhaps the best expert on fiberglass repair and body painting anywhere, Mr. Vic Cooper in Denver. He regularly repairs and repaints the most expensive, the most exotic passenger and race cars, from Lotuses to Lambos to hot rods. He taught me how to do this over a long period of time. Since I am a writer and film maker (and he and other experts I knew are not), I translated everything I learned from him into a form that people could easily learn from right off the web. I further got regular advice from an exceptionally good paint shop in Denver that specializes in automotive refinishing. 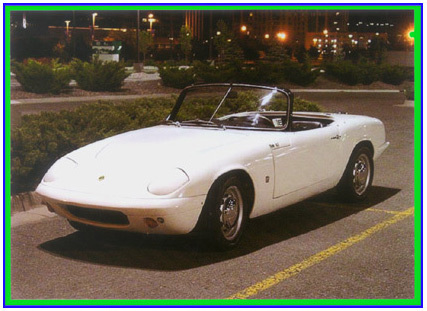 I spent months learning what works, and what doesn’t work- and when I was done I had done my first car, my white Lotus that you see on the book cover. It turned out perfectly. And the method I used can be applied to any vehicle, fancy or plain, big or small, boat or car, truck, bike, or motorcycle. There are tons of BAD books and DVDs that look good on the surface, but in practical use were complicated and had stuff in there that was unnecessary. I wanted to make material available that WORKED as advertised, and was not overly complicated or poorly written. You may find yourself in a similar position looking at painting your vehicle- but without having done this previously, or have done it making many mistakes and not having things turn out so good. You may not know anyone who knows how to do this, or has the time to show you. I will show you, because it is my business teaching people- and I’ve been a teacher for 35 years. If you decide it is best to paint your car yourself, you will need a spray gun, a compressor, the paint, some miscellaneous small tools, sandpaper, and a certain amount of patience. You can do it in a car port, garage, paint booth, or even in your driveway- you decide what is best for you. You can borrow or rent the gun and compressor and save money that way, and pay about $100 for the paint and sandpaper, and if you read the instructions you can come up with a decent paint job on most cars. You will also need odds and ends which you may or may not have, light solvents, gloves, an air respirator, and other small items necessary for painting. Or, you can spend about $250 on the gun and compressor, own it permanently and do lots of things with it for the rest of your life- like paint your house, air clean stuff, run other tools with it, etc. If you have a special car or a collector car, plan on spending a lot of time sanding and re-sanding, and fine sanding, and polishing, and correcting your mistakes, and doing body work. If you don’t have an extra $3000 sitting around, this may be your only choice- AND you can do it, and come up with an absolutely gorgeous job. I will show you how, and my methods come from THE BEST EXPERTS possible. 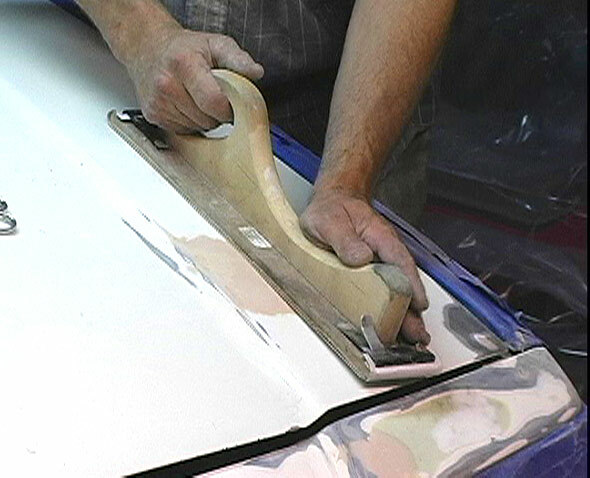 If you just have an old car and would rather do it yourself than spend $300 or $400 at the budget shops for a mediocre job that they will do, you can do it quickly and end up with a finish as good if not better than such shops, and spend a minimum amount of time doing it- although you will still need the materials and equipment you don’t already own, and a place to do it. You can get the download or DVD (it is dirt cheap), or just read through the basics on this page and get a good idea of what you will need to do. Okay….you decide. No bull here. The best painting adventure to you! Contains the best explanation for all levels, from first time beginner to experienced painters. 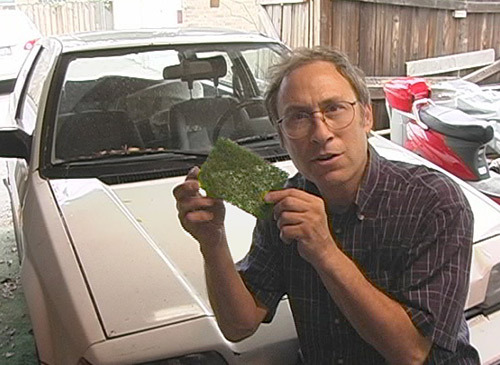 Everything you need to know about painting your car is made simple, and practical. You can put a new everyday durable finish on your car that is better than the budget shops offer at a fraction of the price, or just do the body work and leave the spraying to the shops and save hundreds or even thousands of dollars. You can also learn how to put on the highest grade show car level finish, suitable for any valuable collector car. Every detail is explained with dozens of color photos, and easy to understand text in a 45 page printable and computer viewable eBook manual. AND each step of the way is clearly shown in a demonstration VIDEO. Neil Slade is an internationally known author of 6 books, a feature film, and 20 audio CDs. His web page on car painting is the #1 search result on Google “How To Paint Your Car” for a reason– Its’ the BEST way to learn painting! You would have to be crazy to pass this up! This is the Best, Quickest, Most Useful, Most Affordable, and Easiest way to learn to do a GREAT paint job- LEARN FROM AN EXPERT now! How To Paint Your Car- Hassle Free!